Matt Margolis is one of the two authors of The Worst President in History: The Legacy of Barack Obama, which was just released and we recently reviewed here. Matt Margolis: Well, I’m a husband and father. An architectural and graphic designer. And, of course, a writer. I got it all! BH: You have a co-writer, Mark Noonan. How does that work? Do you divide by process or by topic? Is it via face to face meetings or all via the internet? MM: Mark and I have been blogging together for years, originally on my site, Blogs For Bush, back during the 2004 presidential campaign season. Writing a book together is different from blogging though. I’m in Buffalo, NY and he’s in Las Vegas, NV. For our first book together, Caucus of Corruption, we actually split up pieces of the book for each of us to tackle separately, then we’d trade off. Also, I took two trips to Las Vegas, where Mark lives, to spend time writing together. This time around, we have cloud-based services we were able to take advantage of to streamline the process of writing 2,200 miles apart. BH: So what made you and Mark decide to write this book? And how long did it take you? MM: Our first book came out in 2007, and, honestly, afterwards, I think we were both a bit burnt out. Another book just wasn’t on our radars.Then, the 2012 election came, and, I found myself extremely depressed, but also questioning just how the voters could have given Obama another four years. I knew that night we needed to write another book that catalogued everything bad about Obama’s presidency, because clearly, the truth wasn’t getting out there. BH: President Obama’s term ends in around 6 months. 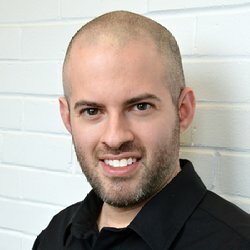 Why do you think your book is relevant? Shouldn’t we all just move on? MM: While the book may be about Obama’s presidency, there’s a bigger mission behind it. Before Obama took office, there was a presumption of success about it that we know is going to continue long after he leaves office. As we wrote in the book’s introduction, Franklin D. Roosevelt is credited with ending the Great Depression, despite the fact his policies actually prolonged it. Bill Clinton is credited for economic prosperity that would have never happened had it not been for the Contract with America. If we don’t get the truth out there now, future generations will simply be taught the left-wing’s revisionist history. BH: Your cover, with Obama’s face and the words The Worst President in History is quite provocative. As soon as it went up on Amazon it started getting attacked with one star reviews from upset Obama supporters reacting to the title. Were you prepared for this response? MM: The title, while a serious assessment, is intentionally provocative. So, yeah, we expected this kind of response. If left-wing trolls are coming out in coordinated attacks to bash our book, it means we are doing something right. They wouldn’t do it if they weren’t afraid of the book. BH: You self published this book instead of going through a traditional publisher. How come? MM: This book was a work in progress for nearly four years, and in that time new things happened, and more data became available regularly. If we had gone through the traditional publishing model then the book would have had to be finished a year and a half ago in order to possibly get the book available to the public when we wanted it to. I knew from the book’s conception that I wanted to pursue the indie publishing model because it enabled us to make the book as up-to-date as possible when we were ready to make it available to the public. BH: What do you say to people who accuse you of just being anti-Obama, or racist, etc? MM: Anyone who disagrees with Obama has been called a racist at least once, but probably many times over the years. These people who call us racists, they can’t argue the facts, so they try to shame people who don’t support Obama into silence. Well, they aren’t silencing me. 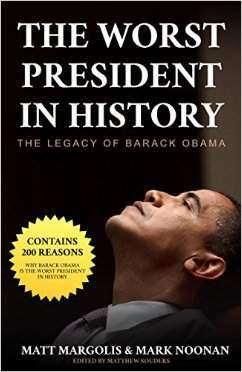 BH: Do you think you might have written a similar book if the current President were a Republican? MM: If Obama had been the president he claimed he would be when he ran in 2008 this book wouldn’t even had been necessary. But, rather than unite red and blue America, he deliberately drove a wedge between them. He surrounded himself with Yes Men, and consistently told Republicans in Congress that he didn’t need them or want them involved in the process. I can’t think of any other president, Republican or Democrat, that would have acted the same way. BH: This is a pretty long and fact-filled book. What do you hope readers will take away from it? MM: There are many topics in this book that could easily be elaborated upon into full length books of their own, if they haven’t already: Fast and Furious, Benghazi, the IRS Scandal… what we have tried to do is write a book that tackles everything, giving the reader enough information about everything from the domestic policy to foreign policy, scandals and corruption… Everything. I like to think of it as a primer for history books in their ultimate assessment of Obama’s presidency. BH: It does read like a history book in some ways. Do you consider yourself a student of history? MM: I’m no history buff, (and like George Costanza, I don’t even know how to become a “buff”) but I’m very concerned with what version of history will be taught to future generations. 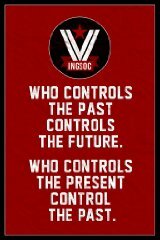 As George Orwell wrote in 1984, “He who controls the past controls the future. He who controls the present controls the past.” And I’m terrified over the idea that Obama apologists in academia won’t be faithful to the facts when they teach about the Obama years. BH: Earlier you mentioned wanting to counter revisionist history. The next president will either be Hillary Clinton or Donald Trump, both of whom have a lot of negative press out there. Do you ever see yourself writing a book to counter unwarranted criticism? A "Not As Bad As They Say" kind of thing? MM: That can be someone else’s job! That’s not to say I wouldn’t want to write a “positive” book, but I really don’t know what the future holds for me in terms of writing another book. This one took a lot of me. BH: Pick one word to describe the process of writing a book. Please elaborate. MM: For this book: “research.” It took an incredible amount of research to write this book. With 1,100 endnotes backing everything up, no one can accuse us of not doing our homework. BH: If someone you just met asks you: “What do you do?” - do you answer blogger or writer? Or something else? MM: Well, my day job is being an architectural designer, and I don’t blog much these days. And this project was done more out of patriotic duty, not so much because I really wanted to write another book. BH: What do you do in your spare time? Any hobbies, favorite activities? Guilty pleasures? MM: In my spare time I do freelance book cover design for indie authors. I also run 5Ks. As for guilty pleasures, I get a lot of flak for enjoying the music of Taylor Swift. 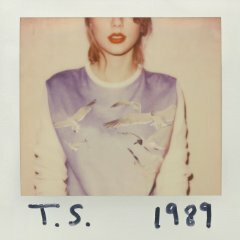 BH: Favorite Taylor Swift song? MM: Just one? Probably “Enchanted” or “I’d Lie” or maybe “Blank Space.” That’s a difficult question. I like a lot of her stuff. BH: Any reaction to the Swift-Hiddleston romance? MM: The sooner they break up, the sooner we get another album! And another tour. I still haven’t seen her in concert yet. MM: Because I’m really into politics, I like to read fiction as a means of balancing out the things I do outside of my day job. Science fiction seems to be the genre I enjoy most lately. Books like Ready Player One by Ernest Cline and The Martian by Andy Weir I read at least once a year. BH: Have you thought about what your next project will be? MM: Before this book I really thought I didn’t have any more books in me. Right now, I don’t have any plans for another book. This book has been four years in the making, and the important thing now is to get the book out there. Perhaps in a couple years I’ll see if there’s another book in me! MM: Be passionate about the topic you’re writing about. This book was not an easy project, but we felt obliged to do the dirty work for the greater good. It would have been much easier to give up and hope someone else would write a similar book. But, we were passionate about the project, and no matter how difficult it was, we were determined to see it through. Writing books isn’t easy, without passion behind it, you’ll never finish it. BH: Any parting words for our readers? MM: I think one important thing people should know is Mark and I didn’t want to have to write this book. But, it’s a book that had to be written. We’ve done our best to give the most complete picture of Obama’s presidency in the hope that facts will prevail over political correctness. If you can only read one book about Obama, read this one, because you’ll get the big picture. BH: Thank you, Matt, for a wonderful conversation!